On this date in 1968, a “rightist” student whose critique of the Cultural Revolution was not blunted by the rigors of imprisonment was informed that her jail sentence had been changed to execution — which was immediately imposed at Shanghai’s Longhua Airport. Utterly obscure at her death, Lin Zhao’s memory was tended by those closest to her, passed down like samizdat to latterly emerge out of Mao’s shadow. An impassioned young intellectual at Peking University and a dedicated Communist with an irrepressible sense of justice, Lin Zhao once called Mao the “red star in my heart” and actually supervised the execution of a landlord during the country’s land reform push in the early 1950s. But she also refused to temper or retract her criticisms of China’s path when the government abruptly reversed its brief flirtation with pluralism. In 1960, after circulating a petition for fallen Communist (but not orthodox Maoist) Marshal Peng Dehuai, Lin was arrested, and eventually sentenced to a 20-year term. It is here that the judicious person discovers the error of her ways, and accepts such terms as she can make for herself. Lin kept writing. Poetry, political manifestos, letters to the newspaper — hundreds of thousands of “reactionary” words. When they took away her ink, she opened her veins and wrote in blood. By the end, official maltreatment and Lin’s own hunger strikes had wasted her away to less than 70 pounds. She was literally plucked from her prison hospital bed on this date by soldiers who drug her (gagged) to a show trial and execution. But like Marshal Peng, she never bent. Somehow, many of her hematic scribblings (saved by the prison, for possible use against her down the road) were smuggled out to her loved ones. * Somehow, they made their way to filmmaker Hu Jie, who put Lin Zhao back on the cultural map with the banned but well-received 2004 documentary Searching for Lin Zhao’s Soul (or In Search of Lin Zhao’s Soul). This movie can actually be seen in its entirety in 10-minute installments on YouTube as of this writing. 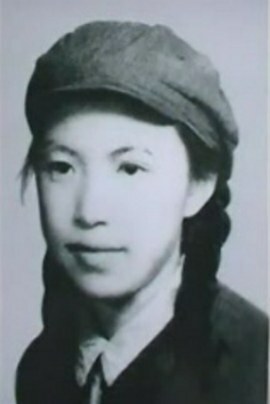 Lin Zhao was posthumously exonerated by a Shanghai court in 1981. Despite Hu Jie’s efforts, she is still little known in her country, or abroad. * Stanford’s Hoover Institution also holds a collection of Lin Zhao papers. Well, Free Dude, it’s been 4 years now. Feel stupid yet? Thank you for bringing this woman to our attention. At least in defending Peng Duhai she did a courageous thing even if she participated in atrocity earlier in her life. But Peng deserves great respect. Who else stood up to the mass murderer Mao and never relented even as he was tortured? Thank you, Ershad. I always welcome suggestions; Mansur Hallaj actually has an entry already. This my first visit to your blog. Thanks for such an excellant blog. But you have missed a lot of cases. Mansur Hallaj of 9th century mystic poet of Bagdad was killed by the ruler. Please incklude him.Collect info from google or wikipedia. Hmmm, is this what we have to look forward to under the obama regime?